I try to keep you guys up to date on my Alopecia Treatments. 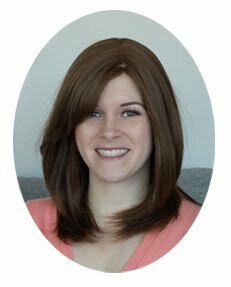 I know that most of my readers aren't affected by Alopecia, but I get a lot of people who find this blog when searching for information on Alopecia and it's various treatments. I have tried to be honest in my experiences with Anthralin and DCP treatments over the last year and a half of blogging about Alopecia. I really wish I could have written that one of the two treatments worked for me, so that someone can be inspired to try, but I can't. Today I had my one year follow up appointment regarding my DCP treatment and the doctor and I jointly made the decision to end treatment. Actually, she was surprised they hadn't ended it at my 6 month follow up because she said if they don't see "significant growth" after 6 months they stop. Strange, because I would never deem myself has having significant growth at any point in this treatment. I got a few patches here and there, but they never really lasted long. I have mixed emotions over today. On one hand, I am glad to be done because it was a huge time-commitment. I also am happy to move on and accept my appearance as it is. On the other hand, I am sad that my hope for a cure is currently done. I have tried every treatment. This is it. There is a chance that one day something new will come out, but for now my journey has ended. I need to move on and accept that I will spend the rest of my life with this disease. It is hard to live with alopecia. I mean, I appreciate that I still have my health, but it is hard to be different and it can feel pretty lonely. I wish I had a friend with it too (though I would never wish it on my current full-haired friends!). There are support groups, but I can't stand them. I try so hard to participate on them but they make me questions every choice I have made thus far in my alopecia-journey. There are too many options and opinions presented for eyelashes, eyebrows, wigs, treatments, coping etc. It overwhelms me and I just stopped going on the website. I have been finding lately that I find I really struggle with the idea of being secure in my appearance, while at the same time dealing with the idea that I choose to wear a wig. I feel like those two shouldn't go hand in hand, so it can be hard to wrap my head around (this was also the reason I chose to leave the online support group- they didn't seem to support this idea of having both worlds). I am really not sure how I manage this, but after 13 years of alopecia I DO have self confidence and I STILL choose to wear a wig. I sometimes feel this is contradictory, but it is the truth. I shouldn't need to feel guilty about wearing a wig and being self-confident. I am all for those women who choose to let their bald flag fly, but right now it isn't the choice for me for my day to day life and that is OK. I think I need a change in my alopecia routine to perk me up after all this. I am going to investigate new eyebrows (I recently found out there are fake hair ones! I might also look at real tattoos...eep). I am also looking into a Freedom Wig, which apparently you can pull into a pony tail?!?!!? They cost about $4000 though (I think? ), so it is not a light decision. haha I can hear some of your jaws drop from across the internets. I am also thinking of getting a new tattoo on my head (or just an improvement on one of the ones I already have). I am not sure how to start finding a reputable tattoo artist though. Any tips on that? See?? Too many choices!! I always forget that you have this disease. Not once have I ever read your blog and got the impression that you were feeling sorry for yourself. You always seem incredibly positive - and your positive attitude really shines through your writing. I can't imagine what living with something like this would be like, and now knowing there are no more treatment options...but I think there is an important lesson for everyone here. We will NEVER be completely happy with our appearance, no matter how much or how little hair we have, there will always be something. All you can do is accept and embrace yourself for who you are. I am glad you know this and have a good support system! Also, Alopecia really fascinates me. I had never really heard of it before until I found your blog, and I like when you write about it. Oh and I know a really great artist turned tattoo artist if you are interested. Tattoos by Melon! https://www.facebook.com/tattoosbymelon It's my friend's sister Melissa (hence Melon) and she is awesome. tattoosbymelon@gmail.com. Tell her Lindsey sent you. My friends mom was diagnosed with Alopecia just last year, and it has been really hard for her to come to terms with. Your positivity and attitude facing this disease is inspiring Casey, & eff those haters on the Internet — You do You— everyone's journey is different, and what works for some won't work for others. Rock your awesome wigs because it's what you're comfortable with on the daily. Why should you sacrifice what makes you feel good when you're already dealing with a crapshoot? You shouldn't. As for finding a reputable tattoo artist? Start where it counts: cleanliness & regular voluntary inspections of the shop (this is pretty standard now & gone are the days of seedy tat parolees being your only choice). Your next step is working with an artist who will do custom work and not just "flash" (those pictures on the wall of tat designs that remind you of sailor Jerry's), someone who is willing to book time to do consults to make sure you get exactly what you want—and in your case, someone who has maybe done this type of tattoo before (head/eyebrow/face). Thirdly and lastly are reviews and word of mouth. If someone you know has had a good experience at a particular shop it could be worth investigating but obviously YMMV . One lucky thing is that TO has a plethora of tattoo park ours to choose from so finding one you like/want to work with should be fairly straight forward. Be advised some parlours only book 6weeks to 2months in advance. Thanks Martina! Feel free to give my email to your friend's mom if she ever wants to talk- I am no expert, but I have been dealing with Alopecia for a long time! It is crazy how once I come out to people about it a LOT of people know someone else with it. My little cousin (he is around 9-10) has Alopecia. His parents have been looking for anything to help him, since he was hats ALL the time. They even got him permission to wear hats at school. I absolutely love how positive you are and that you're still able to feel confident. I can't imagine what a difficult period it must have been for you initially but it's great that you're able to face it head on. The Freedom Wig definitely sounds expensive to me BUT if it's going to help you feel even more confident, then it could be a step in the right direction for you! Aw dude, I admire your attitude and positivity. I mean, obviously you're a tough one with your skull tattoo(s) (ouch), but from what you've described about living with this, trying all the treatments, and accepting it - it's amazing. If the $4,000 wig makes you feel good, then do it! You come across as so strong, it's really inspirational. And my goodness you must be feeling the love on the internets from all these lovely comments ^^^ of people who feel exactly the same as me!!! Casey, this is an amazing post. You are an inspiration - I love how positive you are. Your willingness to try the different treatments and be open with what you're facing is amazing, and I'm sure truly helpful to others who have also been diagnosed with Alopecia. Don't listen to anyone who is judgy about how you deal with it - if you want to wear hats, or a wig, or cover your head with tattoos, or do nothing it's your choice and shouldn't matter to anyone else. Do what makes you happy and allows you to be confident and reflects the amazing woman you are.